Whitworth junior and sociology major Caitlin Taylor spent her Jan Term studying Native American culture at a Hopi reservation in Kykotsmovi Village, Ariz.. As part of her study, Taylor lived in the village, which allowed for a deeper and richer understanding of Hopi culture. Taylor designed her own curriculum and designated it Hopi Studies. She sought to understand the perspective of the Hopi and often tried to “put herself in their shoes.” Taylor says that she was surprised by how influential Western culture was upon the Hopi lifestyle. She could identify with many of the issues faced by her hosts, such as spiritual disconnectedness and broken family structures. “I've realized on a deeper level the responsibility we have to one another as human beings, to build each other up, to seek freedom together, and to reject our tendency to condemn one another,” says Taylor. She encourages other students to engage in this experiential form of study available through independent study and study-abroad opportunities at Whitworth. She says that experience is invaluable to learning. At Whitworth, Taylor runs cross-country and does the steeplechase one word for the track and field team. 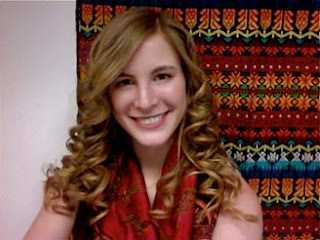 She is also a small-group leader in Warren Residence Hall and a youth ministry intern at Whitworth Presbyterian Church. After graduating from Whitworth, Taylor hopes to travel and study ethnic groups in the United States and abroad. She is also considering graduate school and interning with an organization that advocates for people whose opportunities are limited.